In August of 2007, I had a conversation with my young niece about a critique she sent me about a parking essay she had seen that I had written. I am honored and flattered that you have sent me such a thoughtful, helpful critique about my essay. My responses to you are interspersed in your comments below. Tammy: Hey Uncle Dom. It is your niece Tammy. I read your article that was in the newspaper. That was great! You put a lot of thought into that. Tammy: Your Dad said that I should share my views about the article so you could take a look and review them. I like the way you started the article with the questions. “What is our vision for downtown?” was a great question. I recommended that the end of the article should refer back to that question with the answer something to do with parking. We definitely need to understand the three things about downtowns. Those were major points. Dom: That is an excellent point, Tammy. I regret not properly using that wise writing tactic. I think an important reason I did not use the strategy you suggest is that, as is often the case, the newspaper editor insisted that I limit the essay to a TINY number of words. I therefore needed to be as brief as possible in what I said. Tammy: When referring to them later in the article, I lost what you were talking about when you said legs because that was not the term used previously. Dom: Yes, this is another good point that you make. Had I been allowed to write a longer essay, I would have mentioned the “three legs” earlier, and explained what it means. The concept is commonly used. It refers to a three-legged stool. The stool falls down and does not work properly unless each of the three legs is there. It is a useful metaphor for a great many things. Indeed, a rule of thumb is that it is a good idea to try to condense, for your audience, major concepts by referring to the three major elements (people tend to forget elements if there are more than three). Tammy: “Pedestrian habitat is very important to attract more people.” Great detail added! Dom: Thank you. Yes, I strongly agree. In fact, I often point out that the pedestrian is the design imperative. If we design properly for pedestrians (mostly by designing compact, human-scaled places), a lot of things inherently fall into place and we are effectively able to achieve a high quality of life. A tragedy in America is that the pedestrian is forgotten, and the pedestrian environment is therefore quite awful. Have you browsed my walkablestreets.com website? At the top are links to important pedestrian ideas. Tammy: 15% open parking spaces for motorists would most definitely attract others. It was hard for me to understand how that could be achieved if the many parking garages now were eliminated. I would think that would create a “lack of parking” as you called it. Dom: The key to understanding this is that providing more parking spaces is not the only way to have available, unoccupied parking spaces (it is also an ineffective way, as Dover points out in my comment above). A much more effective way to have available, unoccupied parking spaces is to PRICE the parking. If a downtown has no available, unoccupied parking spaces, an effective way to create available parking is NOT to provide more parking. It is to charge a price for it. For example, if it costs $2 an hour to park in a space (instead of that space being free of charge), a lot of people will decide it is not worth parking there (especially if they are wanting to engage in a “low value” activity, such as renting a video at rush hour). Only the people who have “higher value” activities to attend to, such as parking to go to a job interview, will be willing to pay $2 an hour. That means that those priced spaces will often be available, because only a smaller number of motorists will want to use it. Tammy: I liked how you used the horse before the cart. Great comparison! When I was in NYC, there were parking garages that you pull in and the cars are taken up in an elevator. I assume that you were referring to something like that in your article. Dom: Yes, I know about those kinds of stacked parking garages. They are preferable to conventional garages because they take up less space. A problem is that they are relatively expensive. As a result, they tend to be most likely to be used in bigger cities where the value of property is very, very high — such as in NYC. Tammy: I also heard that you had a new book out. Your father wanted to know what the title is and what it is about. Dom: My second book is forthcoming. It has not been published yet. 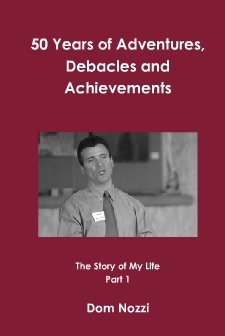 I will be sending out the manuscript to publishers soon to try to find one who is willing to publish it. 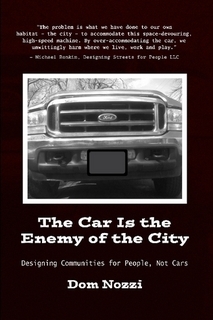 The tentative title is “The Car is the Enemy of the City.” The book is similar to my first book, but goes into greater detail about why the over-emphasis on cars (and pampering them) is ruinous to a city. Today, the biggest threat to cities and our quality of life is a disease I call “Gigantism.” Because cars take up so much space, we are building our communities with spaces and structures that are WAY too big for people to feel comfortable with. Huge parking lots, huge roads, huge intersections, and communities that are several miles wide are simply too big for people. All of the places we love are small, human-scaled, charming, romantic places we enjoy visiting as tourists. Tragically, almost all of the communities in America have forgotten the design tradition. Instead of the timeless tradition of designing to make people happy, we design to make cars happy. The result is that things are too big. And the quality of life in communities, consequently, suffers immensely. Boondoggles are actions that are unnecessary, and wasteful of time and money. I use the term more broadly to refer to things that are counterproductive, tragic, and bankrupting. They are, in this view, substantially detrimental to sustainability and quality of life. I was thinking about how both the American wars of aggression in Afghanistan and Iraq War are horrific examples boondoggles. Actions that show we are our own worst enemy. They are exercises that significantly worsen our national objectives — largely by throwing away enormous sums of public dollars, killing or injuring a huge number of people, destroying villages and nations, and breeding or otherwise recruiting a huge number of new “terrorists” who will grow up with a lifelong vow to punish the US for what we have done. These boondoggles are elephants in the bedroom. But are there only two? It then occurred to me that there is a nearly endless (and growing) list of boondoggles. So I’ve prepared a list of a whole herd of elephants in the bedroom. If someone intent on torpedoing America was to devise a set of tactics to destroy the US, it is hard to imagine that foe selecting tactics that would more effectively ruin us than this list of boondoggles we are imposing on ourselves. They are a recipe for the collapse of the American Empire. 1. The Afghanistan War & the near consensus that militarism is desirable (otherwise known as The War on Terror). 2. The Iraqi War (otherwise also known as The War on Terror). 4. Focusing health care on catastrophic instead of preventive medicine, and the extreme over-reliance on insurance to pay for health costs that are not extremely catastrophic or otherwise unaffordably expensive. 5. The Legal System and the Penal System, which mostly fail to arrive at justice due to the nearly single-minded focus on making a lot of money instead of finding justice. 6. An electoral system distorted by campaign contributions. 7. The death penalty, which, among other things, is financially ruinous because it costs far more to execute someone than to keep the person in prison for life. 8. Unconditional support for the Israeli government. 10. Local land development regulations that almost exclusively promote sprawl and car dependency. 11. Excessive local funding for police and firefighting. 12. Property tax exemption for churches. 13. Massive government agricultural subsidies – particularly for corn. 14. Agribusiness, processed food and the overuse of corn syrup in our food. 15. The flood of guns freely available to nearly anyone in the US. 16. The massive motorist subsidy of “free” parking. 17. The massive motorist subsidy of continually widened & “free” roads. 18. An income tax system that is excessively complex, & punishes job creation & investment. 19. A property tax system that punishes infill development. 20. Gas taxes that are too low & only dedicated to roads, not transit, walking or bicycling. 21. The massive federal subsidies for airports (and the absence of such subsidies for rail). Can you think of any others to add to the list? In September 2007, a citizen in Micanopy, Florida asked me about whether a large “vision triangle” was a good idea at a street intersection. 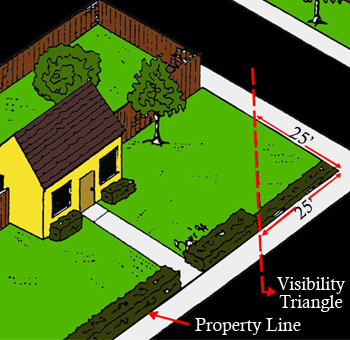 A vision triangle is an imaginary triangle drawn at the corners of an intersection that is to be clear of “visual obstructions” such as buildings or fences or signs. I informed this person that in general, the need for a vision triangle arose in the 20th Century, when engineers began to design “forgiving roads” to try to safely accommodate higher speed, reckless, incompetent, inattentive driving of cars and trucks. Such a design paradigm assumes that drivers will always drive at high speeds in a reckless, incompetent, inattentive way. I believe this concept is increasingly being seen as flawed. It is a self-fulfilling prophecy that inevitably results in the growth of higher speed, reckless, incompetent and inattentive driving. Drivers drive at the highest speed at which they feel safe. They also devote as much attentiveness as is deemed necessary, and no more. Therefore, if we design roads that “forgive” high speed and inattentive driving by moving trees/vegetation/buildings away from the street with a large vision triangle, a growing number of drivers will consequently drive at higher speeds and less carefully, because they can now do so more safely. There is now a growing call, which I strongly support, that suggests we should reverse this safety strategy. After all, the track record of this form of conventional safety engineering has been awful over the past several decades. Crashes have not declined, and drivers drive faster and more recklessly. The new paradigm, which I believe will result in a safer transportation system, is one that obligates motorists to drive carefully. To drive more attentively. More slowly. 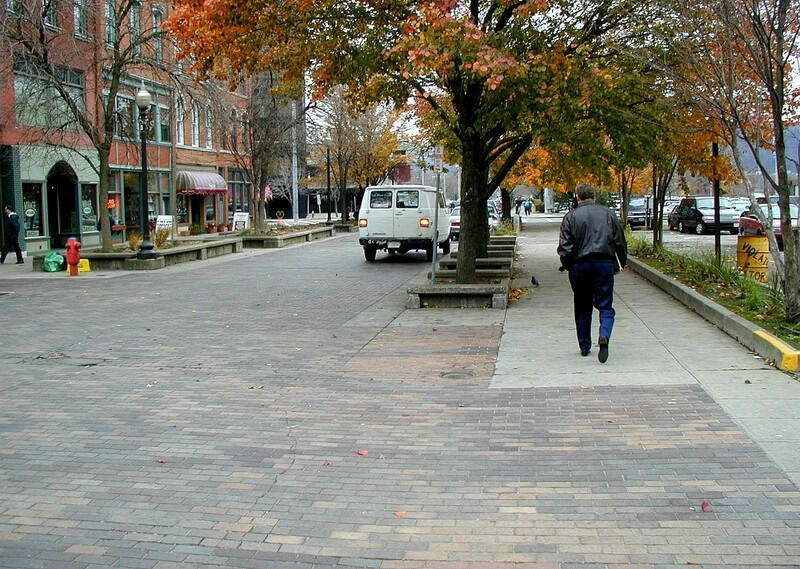 In a compact, walkable town center, which needs to be low-speed in design, we need to return to the tradition of designing for the Attentive Street, not the Forgiving Street. Buildings, vegetation (particularly street trees) and fences needs to be moved close to the street. Vision triangles should be quite modest in size. The dilemma is that at first glance, it would seem that a larger vision triangle promotes safety, since the motorist can see a larger area of potential threats such as other motor vehicles on the crossing street. But counterintuitively, the opposite is true, as I demonstrated above. and more carefully in order to feel safe. By being obligated to be slower and more careful, safety increases. This is the opposite of what engineers have been trained to believe over the past several decades, so many continue to ferociously oppose such a design shift. In sum, assuming we are designing a street that would appropriately have a relatively low design speed of 10-20 mph, I would urge the vision triangle to be extremely small. Larger triangles encourage less safe, higher speed, less attentive turns and cruising speeds by motorists. Would Stop Signs Increase Safety? In general, stop signs are not a recommended treatment for slowing cars or increasing safety (or making a larger vision triangle safer). Stop signs can create a false sense of security and are often disregarded. Better treatments would include horizontal, physical interventions such as a traffic circle, a roundabout, narrower travel lanes, bulb-outs, on-street parking, speed tables, etc. In other words, as I noted above, designs that obligate the motorist to drive more slowly and attentively. Stop signs do not do that. To achieve this slower, more attentive and safe street design, it is important to work with an engineer who is sympathetic to the Attentive Street design paradigm. I recommend designers such as Michael Ronkin, Dan Burden, Michael Wallwork, Walter Kulash, or Ian Lockwood. Low design speeds not only improve street safety. They also improve retail health. They create “drive-to” shopping streets rather than “drive-through” escape routes. In December 2013, Boulder CO held a joint advisory board meeting to discuss the topic of “Sustainable Streets and Centers.” I submitted the following comments after the meeting to describe what I believe are the ingredients for a walkable, compact town center. 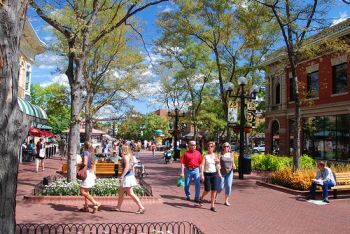 Boulder has adopted a clear vision for one or more newly emerging walkable, compact centers in locations such as East Arapahoe, Colorado, and East Boulder, and intends to use effective tactics to induce the creation and sustainability of such centers. 15-minute neighborhoods are an important Boulder objective, which will require the creation of a relatively large number of centers. The objective for centers is a drive to rather than drive through experience, a park-once setting, and a design that makes the pedestrian the design imperative. General comments: First, strive to use words that resonate and are understandable to non-professional Boulder citizens. Terms such as “multi-way” or “activity center” or “alternate modes” or “corridor” are confusing, uninspiring, and negative. 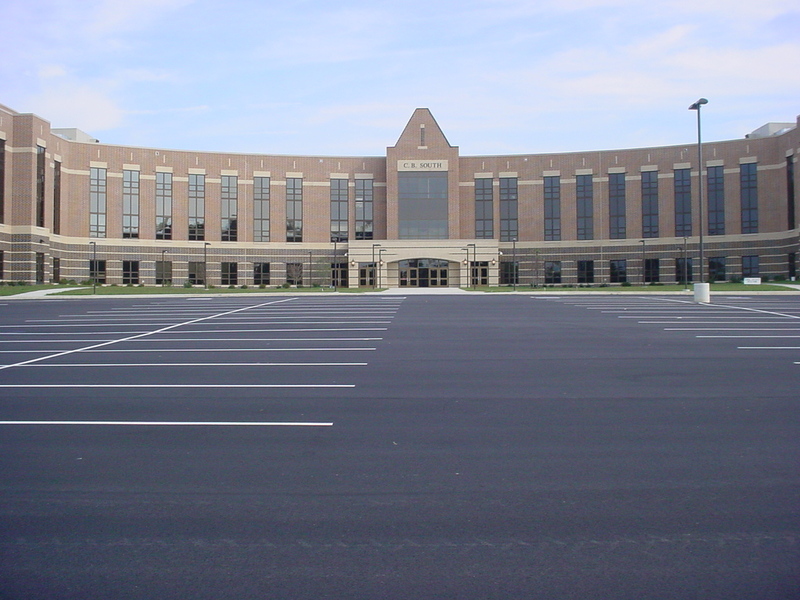 Second, when visioning or seeking comments from citizens, it is important that citizen comments be guided and informed by skilled design professionals (such as Dover-Kohl) who are skilled in presenting information in an understandable, inspiring way (particularly through use of quality graphics). Third, existing housing, employment, or land use patterns should not necessarily dictate visions if such patterns conflict with Boulder objectives. Fourth, the needs or convenience of regional commuters should not trump the low-speed, vibrancy, pedestrian scaled needs of Boulder’s centers. Motor vehicle parking is behind buildings. Shorter blocks via cross-access pedestrian ways between buildings. Mixed-use zoning to reduce walking and biking distance, and increase 24-hour vibrancy and safety. Relatively high residential densities and commercial intensities. Remove any regulatory barriers to infilling existing parking with buildings. Do not allow gas stations at intersections. Convert parking minimums to parking maximums. Require that the price of parking be unbundled. Increase allowable shared use and leased parking opportunities. Relatively small minimum lot sizes. Relatively small signs required by the sign ordinance (to help signal a low-speed, pedestrian scaled setting). Proactively overlay a street grid with small block sizes before development is proposed. Do not allow fences to cut off non-street access to adjacent parcels. Fences used should not exceed three or four feet in height along a sidewalk. Emphasize multi-family housing rather than single-family housing in centers and along major streets. Consider requiring at buildings at least two-stories in height for more of a sense of place, a sense of enclosure, mixed use opportunities, and better adaptability to change over time. Shorter street blocks (200 to 500 feet max). Continuous left turn lanes are to be discouraged, unless they are needed to right-size an oversized street. Raised medians with turn pockets are to be encouraged. Raised crosswalks when feasible and appropriate. On-street parking is allowed and priced. Consider visually prominent gateway features at the entrances to centers to clearly signal to motorists that they are entering a low-speed, walkable setting that requires attentiveness. 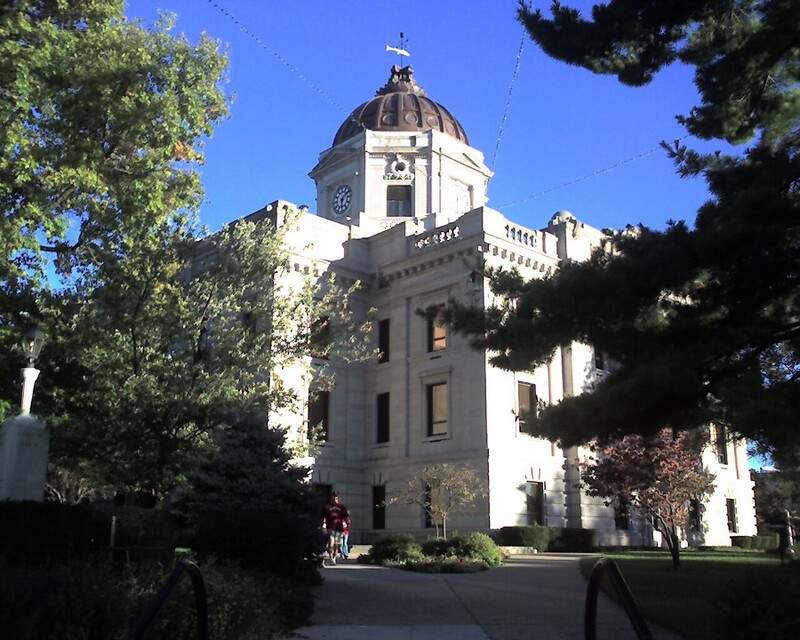 The following is an October 2007 interview with the Bloomington Alternative. Bloomington Alternative (BA): While your book & work addresses broader issues of urban planning, your focus seems to be upon making cities more walkable or pedestrian-friendly. How do you keep bicyclists from being forsaken in the tension between motorists & walkers? Dom Nozzi (DN): I should start by pointing out that I have a bachelor’s in environmental science and a masters in planning. My masters thesis was bicycle transportation. In my over 21 years as a professional city planner, I have been a regular bicycle commuter. In fact, I have never in my life driven a car to work, and have only owned a car for a year and a half (and that was a long time ago). About 15 years ago, in my work as a planner, I had an astonishing, crucial epiphany: In a town center (or downtown), the pedestrian is the design imperative. Everything else is secondary, if we are to have a healthy community. In the town center, the pedestrian is the lynchpin. If we successfully design for a quality pedestrian environment, we synergistically and inevitably create a better environment for transit, for bicyclists, for seniors, for children, for businesses, for the environment, and, ultimately, even for motorists. I am convinced, therefore, that bicyclists are not forsaken if we design well for peds. Indeed, I believe conditions for bicyclists are greatly improved. Two quick examples: Quality pedestrian design requires low-speed car travel and proximity to destinations. Both of those elements are essential for meaningful levels of high-quality bicycling to occur. BA: As mentioned on your website, there is an emerging concept in urban design known as a “transect” that essentially is a way of classifying different kinds of neighborhoods along a continuum, from rural to suburban to city neighborhood to downtown that prescribes the idea that things that belong in one zone would be out of place in another. DN: Yes, the transect is one of the most fertile, important concepts I have learned in my career as a planner. Another way of describing it: There is a place for everything and everything has its place (although this is not precisely true, as some of us may argue that there is NO place for, say, a nuclear power plant…). What would you define as an “excessively wide bicycle lane”? Is not the call for on-street parking centered around the idea that it is more convenient for motorists to become pedestrians when they can park on the street? DN: An excessively wide bicycle lane in this context is one which creates a street width that results in motorists occasionally using the bicycle lane as a car travel lane. Excessive bicycle lane width in this context also occurs if the width creates a “racetrack” character (which results in a motorist tendency to engage in speeding). Finally, excessive width is a width that detracts from the “sense of enclosure” that is so important in creating a high-quality, walkable town center. As Gertrude Stein so famously said about a dead or dying downtown, “there is no ‘there’ there.” What she meant was that there was no sense of place. A sense of place is most effectively achieved by creating a human-scaled ambience in a town center (and perhaps elsewhere). Human scale, in part, means that streets and intersections are relatively narrow. One important result of creating a human-scaled town center is that streets are low-speed. Cars are obligated to travel slowly and attentively. One of the most powerful, beneficial ways to create a low-speed, human-scaled, walkable town center is to install as much on-street parking as is feasible. Some important benefits of on-street parking: They create friction, which slows cars. They create a human-scaled sense of enclosure (they are place-makers). They reduce dangerous, inattentive speeding by motorists. BA: One of the excuses used by city planners when denying requests for more bikable streets is that not very many people ride bicycles as their primary mode of transit, but is that not the result of urban planning based around autos & the bi-peds in those autos? DN: In a sense, it is absolutely true that nearly all city planners and traffic engineers are motorists who, as motorists, think and see as motorists (rather than being public servants who have the task of improving the community quality of life for all). By single-mindedly designing for happy motoring, planners and engineers (unintentionally?) make conditions more difficult for bicyclists, transit users and pedestrians. Economists call this the “barrier effect.” Roads have too many travel lanes and are too high-speed. There is too much auto parking. Homes are too far away from jobs and shops and parks and the street. Note, however, that most planners and engineers have the knowledge about how to create more bikable streets. They fail to make bike-friendly recommendations not just because they are utterly dependent on car travel themselves, but also because they have not been given PERMISSION to make bike-friendly recommendations by their supervisors and their elected officials. How is that permission most likely to be granted? One way is by electing a courageous leader who has the wisdom to create a better community (I know, I know. This is nearly impossible). Another way is to create a growing army of former motorists who are now (or would like to be) bicyclists, pedestrians and transit users. How is such an army created? Not with bike lanes, or sidewalks or free transit passes. While those things may help a bit, the most significant way to create more bicyclists, pedestrians and transit users is, by far, to ensure that the car parking in your community is scarce and properly priced (ie, provided efficiently). That you have sufficiently higher density, mixed-use development. And that your streets are low-speed and no more than 3 lanes in size. These tactics are not easy and will not happen overnight. Which helps explain why nearly all Americans travel by car, and why we too often use relatively ineffective, path-of-least-resistance strategies such as installing bike parking or sidewalks. BA: Why the concern about bike lanes making pedestrian crossings a few feet longer & not on-street parking making pedestrian crosswalks wider? DN: On-street parking typically reduces the width of pavement containing moving cars. By contrast, in a town center that we hope to make more walkable, bike lanes can increase the width of pavement containing moving cars (or will create the “racetrack” which induces motorists to drive at higher, more inattentive speeds). Furthermore, as I noted above, on-street parking increases the “friction” that motorists perceive, which slows them. In a town center, a bike lane can reduce friction, which can induce speeding. As stated elsewhere in your work, you attribute this hightened danger both to inattentiveness on the part of motorists & the invisibility & false sense of security of the bicyclists. Are not these psychological dimensions of driver & rider attentiveness at the core of many traffic accidents, irrespective of road conditions? DN: Road conditions are, by far, the primary origin of driver behavior. The attentiveness, skill and safety of motorists is largely the result of how the road is designed. It is NOT because “Americans” or [fill in the name of your community] are genetically predisposed to poor or unsafe driving. As I note in my forthcoming book, this erroneous assumption that Americans are poor and dangerous drivers has resulted in the catastrophic mistake of the traffic engineering profession adopting the “forgiving road” paradigm — which, ironically, creates less safe roads. BA: Is not the “affordability” of infrastructural changes very subjective, given the great disparity of respective annual expenditures for bike-centered & auto-centric design? DN: Absolutely. Only an inequitably tiny amount of public dollars are allocated to bikes/peds/transit compared to cars. But this unfortunate situation is extremely unlikely to change unless, again, we have courageous leadership or we establish the controlling, independent variables (the lynchpins) I mention above, such as scarce/priced car parking, modest roads, etc. Only those things will lead to a meaningful change in funding. BA: Riding bikes on sidewalks is technically illegal, though rarely enforced, & bicyclists are expected to ride with traffic in the right third of the auto traffic lane & often keep to the very right of the lane since it is difficult for cyclists to tell whether the drivers see them or not, often subjecting cyclists to navigating debris, sewage grates & the opening of doors & the backing out of motorists using on-street parking. What about these concerns, common to the average cyclist? DN: In a town center, biking on a sidewalk is dangerous. In addition, unless the bicyclist is riding at a pedestrian speed, bikes and peds don’t mix well. In this part of the community, if it is properly designed for low-speed walkability, it is perfectly safe and comfortable for the bicyclist to “share the lane” with the motorist. In such riding, there is no need for concern about road debris, since it has been swept by cars. In higher speed suburbs, a wide curb lane (14-16 feet wide) w/o a painted bike lane line is best, since this ensures periodic motorist sweeping of the area bicyclists ride in. Less desirable is a painted bike lane, which is hardly ever swept by motorists. I am somewhat sympathetic to painted bike lanes, however, because they are more likely to encourage novice bicyclists to become bike commuters. Bike lanes also send the important message that “this is a bike-friendly community.” (they can also reduce the “racetrack” problem, BTW). BA: You state that you also generally oppose bike lanes in suburban areas, thusly, “In general, bicycle lanes are not necessary on intermediate (collector) streets, due to low traffic volumes. Like walkable urban locations, bicycle paths separate from the street are generally incompatible in this location.” Why is the mode of bicycling always subjugated to the needs of motorists? DN: In general, I believe that the most appropriate place for bike lanes is in suburbs (particularly higher speed arterial — major — streets). In suburban, lower-speed neighborhoods, bike lanes usually become superfluous, as it is perfectly safe for the bicyclist to share the lane with cars. And yes, in suburbs we find a relatively large number of intersections and driveways (more so than in rural/preservation areas), which makes off-street bicycle paths less appropriate. It is not clear to me how any of this pertains to the “needs of motorists”. BA: Are not the higher vehicle speeds & “low traffic volumes” (affecting sense of security/driver attentiveness) of suburban roadways actually more dangerous for bicyclists? DN: Yes, as speeds increase in suburban locations, bike lanes become more important and appropriate. 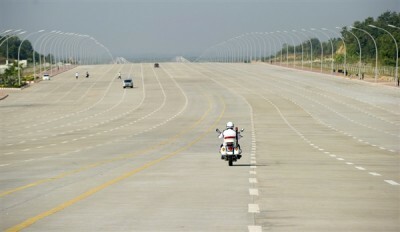 It all depends on context and the design speed of the road. BA: Would not bicycle lanes in semi-urban & suburban areas grant greater safety to cyclists due to their separation from commuting motorists with cell-phones & in-car DVD players? BA: Aside from downtown merchantile districts, sprawl malls & school routes, what other areas really need greater walkability? DN: Other than in a town center, walkability should be provided whenever and wherever the residential and non-residential market call for it. This can include inner (and older) suburbs and new urbanist neighborhoods built in suburban locations. Should a suburban neighborhood desire it, suburban areas can also be retrofitted to a small degree by being more walkable. Note that once the significant market distorting subsidies (large and “free” roads, “free” and abundant parking, etc.) whither away, the societal interest in walkability will grow substantially. Large numbers will either try to move to walkable town centers or see that their suburban areas are retrofitted to be more walkable. BA: Have you ever considered that one dimension that intersects these “transects” or planning zones is that of people in wheel chairs, who regularly encounter curbs without ramps & obstacles to sight lines at intersections & impediments to wheeled travel along sidewalks. What can be done to make streets & sidewalks more wheelchair accessible? DN: Engineers and planners need to do a “wheelchair audit” by trying to get around in a wheelchair so they can see how many obstacles people face when using a wheelchair. I am fully supportive of most curb intersection ramps and being sure that sidewalk/crosswalk surfaces contain smoothness. Note that wheelchair users are significantly better off when high-quality, compact, walkable town centers are built, since nearly all destinations become proximate and therefore more accessible. And cars move more slowly. BA: Would you favor more sidewalks, crosswalks & bridges over by-passes & around retail plazas & hotels along interstates? DN: I am always supportive of filling sidewalk gaps in town center and suburban locations. And I am a firm supporter of creating more complete streets. Pedestrian overpasses are rarely a good idea, unless we are talking about a roadway that is too dangerous to cross at-grade, such as an Interstate. Such overpasses in other locations tend to be expensive, particularly when they go mostly unused (largely because it is easier and quicker to cross at-grade). In addition, there is little that American communities need more than an increase in pedestrians. It therefore seems to me to be a strategic blunder to remove even more of the few pedestrians we have in our towns from our nearly empty sidewalks and putting them in overpasses. Pedestrians, as AASHTO points out, are the lifeblood of a city. People by their very nature enjoy the sociability of a sidewalk bustling with pedestrians (as do small retailers). Finally, an overpass tells us that we have given up on restoring the livability and quality of our street. We shall forever give it over to the car. BA: How do you feel about cul-de-sacs & obstacles at intersections as traffic abatement? DN: Cul-de-sacs are extremely undesirable and should only be permitted when it is impossible to create a connected street (due to environmental factors). Such design externalizes costs on other streets, because cul-de-sac residents must drive more (and do so on streets other than the one they live on). They reduce trips by bicycle, walking and transit, because they tend to increase travel distances. They increase driver inattentiveness. They reduce child “street skills.” They increase the cost of public service delivery. As for “obstacles,” I am not clear what you mean. If you are referring to treatments such as roundabouts or traffic circles, I am enormously supportive of them in places (mostly suburban) where there is sufficient room. 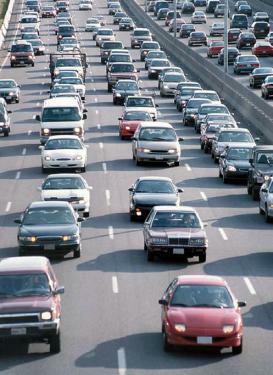 They slow cars, increase motorist attentiveness and significantly reduce major crashes. BA: How about so-called “gated communities” that restrict pedestrian & auto access? DN: Gated communities share many of the problems I mention above with cul-de-sacs. They are almost never justified, and should be regulated against by the community land development code. They are an undesirable symbol of our “cocooning” or inwardly turning nature as Americans. BA: Have you ever heard about cases of alleviating the death of wildlife by re-designing places where migrating frogs, crabs, ducks & deer can travel without crossing auto traffic, & do critters deserve walkability as well? DN: Yes, in the county I just moved from in FL (Alachua), a wildlife underpass/crossing was installed along a state highway that crosses a major 22,000-acre preserve (Paynes Prairie). I understand that it is effective. I am not academically trained in such features, but it seems to me that it would be a challenge to design such crossings to ensure that a high percentage of your wildlife is using the crossing. I would nevertheless support such “permeability” enhancements to increase habitat connectivity. BA: How do you feel about the proliferation of parking garages? DN: Parking garages can be a positive sign for a community, since such structures substantially reduce the amount of land devoted to auto parking (as long as surface parking is concurrently removed so that there is no net increase in parking). It is essential, however, that garages be properly priced so that they are paid for by the motorists who use them (rather than all of us). They must also be wrapped by vibrant, active retail shops, residences, and services so that they do not deaden a town center. Cities should be careful when they think about creating a garage. Often, a parking “shortage” is a misperception. The “shortage” is commonly just a poorly-designed, inefficient parking arrangement. Usually, the “shortage” is due to too much free or underpriced parking. There are a great many cheaper, more efficient ways to solve this “shortage” problem short of building an expensive garage. Often, a garage is built and is underused, much to the astonishment of the community. Typically, such a surprise occurs because the area actually had too much parking to begin with, but the community didn’t properly design it. BA: What do you think about parking garages for cyclists & scooter users with showers & changing rooms or structures that combine bus-stops & covered bike shelters? DN: Designing a garage to allow cyclist use is usually not terribly useful as such parking would typically be rarely used by bicyclists (except those looking for sheltered, long-term parking). Bicyclists almost always will opt for more convenient short-term parking outside of the garage. Certainly it is a good idea, generally, to provide for scooter parking in garages. I would expect that showers and changing rooms would be little-used in garages. I believe that covered bike parking at bus stops would be a good “inter-modal link,” because it expands the range of non-motorists that the bus can attract, and those who arrive at the bus stop by bicycle will need the long-term parking that a covered facility provides. However, one caution: Such parking may not get much use except in areas where parking is scarce/priced and where residential densities are high. BA: Could pre-existing & improved alleyway systems be used as bicycle boulevards that utilize bridges or tunnels (over or under-passes) where they cross major streets? DN: Yes, this is can be a very good, low-cost way to provide accessibility and connectivity for bicyclists. However, to be useful for bicycle commuters, they would need to be faster than in-street travel, and I would suspect that this would rarely be the case. In general, however, such facilities are a very good idea for the recreational or novice bicyclist. BA: Do you have a position on controlling emissions from vehicles whose exhaust impacts the palate, health & eyes of pedestrians & cyclists alike? DN: I have not spoken or written about this, even though I acknowledge that it is a worrisome problem. Certainly there is a need for better auto emission control, although we have made great improvements over the past few decades. The problem now is that while we have improved tailpipe emissions, the exponential growth in per capita and overall driving is swamping those gains. I would point out, however, that studies show those who walk or bicycle are healthier than those who drive, despite having to breath fumes. One aspect of an “externalized cost” that motorists don’t pay when they drive is the great environmental costs they impose on society when they drive. To be equitable, gas taxes should be increased substantially to compensate for the air emissions coming from cars, and that revenue should be dedicated to effective car travel reduction strategies, rather than increases in road capacity or parking. BA: How should global warming, peak oil & climate change impact the planning of transit systems? DN: These alarming concerns should certainly be causing all levels of government to engage in highest-level emergency measures to significantly reduce car subsidies and significantly increase transit subsidies. As Kunstler points out, America has a transit system that the Bulgarians would be ashamed of. As a result, this nation has a grim future. We are so trapped in utter car dependence that we have very little ability to adapt to the coming, inevitable travel changes we will face in the future. There will be much wailing and gnashing of teeth when the days of enormous car subsidies and unrealistically low gas prices comes to an end. Will we, as Kunstler fears, experience substantial political horrors such as political support for increased US militarism to secure dwindling oil supplies? I am deeply troubled that this nation has not taken radical measures to substantially change the course we are on with regard to our transportation system. And how we design our communities. BA: How do you feel about increasing funding for trolleys, trams, pedi-cab rickshaws & magnetic mono-rail train travel? DN: It is absolutely essential that we significantly increase our funding of these and all other alternatives to car travel. And much of that funding must come from gas tax revenue, as it does in other parts of the world (here in the US, states have passed laws forbidding such revenue to be used for anything other than roads, which is a colossal, self-perpetuating blunder). Note again, however, that before we increase funding for non-auto travel, we must first reduce huge car subsidies (roads, parking, gas, etc.). Without doing so, few would use such non-car travel services, even if they were high-quality and frequent. And it would be extremely unlikely that the political will would exist to make such a major shift in funding priorities. I was called by the media in late 2013 for any comments I might have about a proposed road widening in Orlando, Florida. Here is what I said. First, it has been known for several decades now that widening a road does not reduce congestion durably or sustainably. That is, after about 3-5 years, a widened road generally starts experiencing the same level of congestion it had earlier, if not worse. Congestion reduction – in theory – can be reduced more long term if tolls are used and the toll price is properly calibrated to discourage “low-value” car trips (trips to, say, rent a video at rush hour, or trips that could have occurred on different, less substantial routes). However, in the case of the Orlando project, while tolls are proposed, the project will be adding new lanes to be tolled, and leaving the existing untolled roads as untolled. In effect, such a project will add more capacity (carry more daily car trips) even though the new lanes are tolled. Because of the “triple convergence” concept that Anthony Downs played a large part in popularizing, there is a latent demand for more car travel on the road in question (some trips are currently being discouraged by the congestion, and are therefore happening at non-rush hour times or on different routes). Since some of the car trips that are currently on the existing untolled highway will shift to the toll lanes, new car trips will be induced to use the free pre-existing lanes, which now have new capacity created by the trips that have shifted to the toll lanes. In effect, then, even with the new lanes being tolled, the proposal will be adding enlarged capacity by adding the new lanes. And the triple convergence makes it inevitable that the untolled existing lanes will again become congested in 3-5 years. Given that, the project will not be reducing congestion in the long term on the currently untolled roads. While the project will not reduce congestion long term, it will have one consequence for the region, and it is highly detrimental: By adding new capacity, the project will be further dispersing residential, commercial, and job growth into even more remote locations. Orlando will become more sprawled. And will achieve no long-term reduction in congestion on the free lanes. If the objective is to reduce — long term — the congestion on the current free lanes, the project is irresponsible, counterproductive and ruinous. It is highly wasteful for state, local or national government to be adding road capacity at a time when there is not only a fiscal crisis, but at a time when it appears there is a long term peak or reduction in VMT. Future generations will rightly be appalled that our generation continued to widen roads at a time when it was obvious that widening did not reduce congestion durably, and continued to do so even when we started seeing a peak and decline in VMT. The fact that all levels of government are suffering severely from fiscal woes only makes the on-going road widenings even more inexcusable. This is true even if the tolls fully pay for the new lanes, as the sprawl and newly-induced car trips will add substantial new, long term costs to the Orlando region. A much more desirable plan for Orlando would be to convert existing highway lanes to tolled lanes, rather than building new lanes. Under that scenario, the region would have a chance to reduce congestion long term. IF the toll prices are calibrated properly. By not building new lanes to widen the highway – by tolling existing lanes instead – Orlando has a good chance of seeing beneficial outcomes: More infill, a healthier business climate (particularly for smaller and existing businesses), less town center vacancy, more stable (or improving) property values, more per capita transit trips, less fuel consumption, and less air emissions, to name a few.